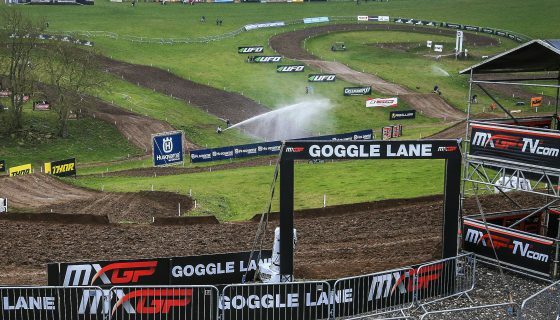 MXGP GEARS UP FOR GERMAN GP. 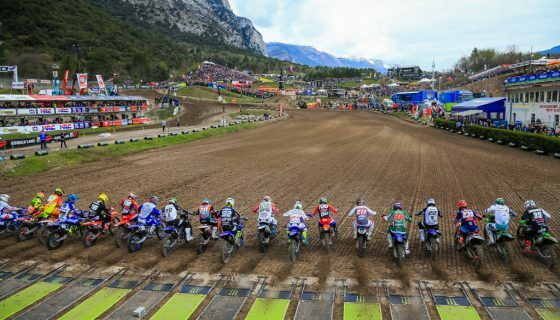 The 2018 MXGP World Championship continues this weekend at the hilly Teutschenthal circuit for the 8th round of the season, the MXGP of Germany. Only days ago Red Bull KTM Factory Racing’s Jeffrey Herlings and Antonio Cairoli went bar to bar at the MXGP of Latvia but Herlings came out victorious. This weekend the advantage may be in favor of Cairoli however with him historically seeing much more success on the German circuit. 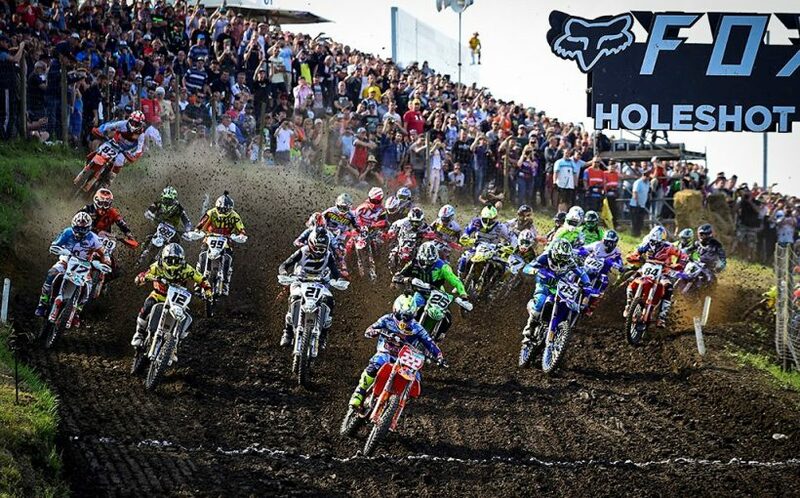 The hard packed Teutschenthal circuit first hosted the FIM Motocross World Championship in 1971 but since has seen several winners. Last year Cairoli topped Herlings in Germany to takes his 5th career victory on the circuit while the now Wilvo Yamaha Official MXGP rider, Jeremy Seewer topped the MX2 class ahead of Honda 114 Motorsport’s Hunter Lawrence and Red Bull KTM Factory Racing’s Pauls Jonass. Also back in action in Germany this weekend is the FIM Women’s Motocross World Championship along with the European Championship class of EMX125 presented by FMF Racing. 88 riders have entered into the 125cc racing including series points leader and winner in Latvia, KTM Junior’s Rene Hofer. The women will also host a full gate of riders including defending champion MXFONTARACING Yamaha’s Kiara Fontanesi and current points leader, Altherm JCR Yamaha’s Courtney Duncan. Red Bull KTM Factory Racing’s Jeffrey Herlings comes to Germany after winning the MXGP of Latvia only last Sunday in an impressive performance where he had to come back through the pack after 2 bad starts and pass his Red Bull KTM Factory Racing Teammate Antonio Cairoli who led both races from the start. Cairoli not only won here last year over Herlings but 4 other times in his career while Herlings has been atop the Teutschenthal podium twice in the MX2 category. However Herlings does have the momentum so far this season with the Latvian win being the 5th victory of the 7 races so far. Monster Energy Kawasaki Racing Team’s Clement Desalle has maintained his third place in the points standings with a 4th overall in Latvia just after his win in Russia. Desalle won the German GP at Teutschenthal in 2014, was 4th last year, and has reached the podium 3 other times. Monster Energy Yamaha Factory MXGP’s Romain Febvre had a mixed weekend in Latvia when he battled with Cairoli for the lead in Race 1 eventually finishing 3rd but then crashed out of Race 2. Febvre, despite his injured right-arm will try to race this weekend and salvage points, the Frenchman did win the GP in 2015 and finished in the top 5 on 3 other occasions. 5th in the Championship at this point of the season is Rockstar Energy Husqvarna Factory Racing’s Gautier Paulin. 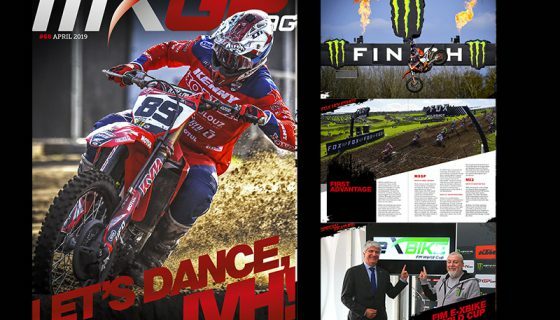 Paulin just scored his second podium of the year last weekend in Latvia and was also on the podium here last year. Paulin has never won the German GP but has come in 2nd twice, in both 2015 and 2011. Wilvo Yamaha Official MXGP’s Jeremy Seewer is one rider to watch seeing the MXGP rookie topped the MX2 class here in 2017. Also not to forget is Team HRC’s Tim Gajser, who crashed out here in spectacular fashion in 2017 while battling for the win, and TM Factory Racing’s Max Nagl as it will be his home GP. MXGP Championship Top Ten: 1. Jeffrey Herlings (NED, KTM), 336 points; 2. Antonio Cairoli (ITA, KTM), 307 p.; 3. 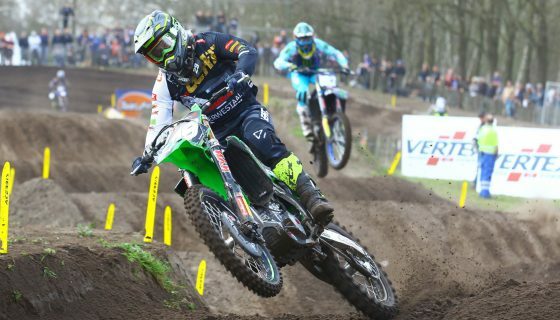 Clement Desalle (BEL, KAW), 244 p.; 4. Romain Febvre (FRA, YAM), 223 p.; 5. Gautier Paulin (FRA, HUS), 218 p.; 6. Glenn Coldenhoff (NED, KTM), 180 p.; 7. Jeremy Van Horebeek (BEL, YAM), 179 p.; 8. Tim Gajser (SLO, HON), 177 p.; 9. Jeremy Seewer (SUI, YAM), 155 p.; 10. Julien Lieber (BEL, KAW), 134 p.
In the MX2 class Rockstar Energy Husqvarna Factory Racing’s Thomas Kjer Olsen comes to Germany with his first win of the season while Red Bull KTM Factory Racing’s Pauls Jonass leads the championship standings for the class. Jonass reached the podium in 2017 but finished outside the top 5 in his 3 other races here while Olsen was 5th last year. Red Bull KTM Factory Racing’s Jorge Prado will be looking to redeem himself from an inconsistent performance after a bad start during Race 1 in Latvia. Prado has been the main challenger to the success of Jonass but finished 11th in 2017. Honda 114 Motorsports Hunter Lawrence will also try to bounce back from a crash last week, especially since he was on the German podium last year. Lawrence just returned to MX2 action last weekend after being out with injury since practice in Trentino. The Aussie looked impressive and capable of a Latvian podium before his race one crash. Kemea Yamaha Official MX2’s Ben Watson has been the best of the Kemea riders overall this season but his teammate, and MX2 rookie, Jago Geerts was the most impressive in the sands of Kegums when he took 2nd overall, the podium from Geerts was the first of his career. Watson was also strong in Latvia with 5th overall. Also notable is that Anthony Rodriguez will join the Kemea team as a fill in for the injured Vsevolod Brylyakov. Adding to the list of podium contenders is STC Racing Husqvarna’s Henry Jacobi. Jacobi has had some of the best rides of his career this season and had strong starts in Latvia last weekend even while feeling under the weather. For Jacobi this weekend is a home GP, born and raised in Germany the young Husqvarna rider will have plenty of support to push him toward the front of the pack. Other riders to keep an eye on this weekend is F&H Racing Team’s Jed Beaton and Team HRC’s Calvin Vlaanderen, both have had strong races this season and they currently are 5th and 6th in the championship’s standings. MX2 Championship Top Ten: 1. 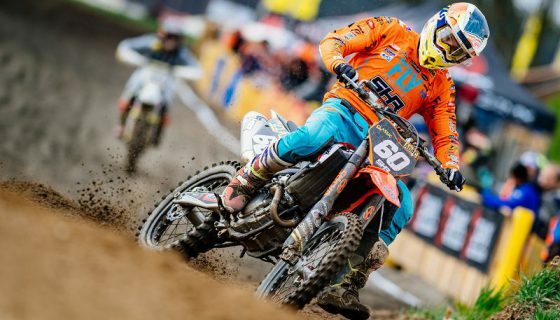 Pauls Jonass (LAT, KTM), 304 points; 2. Jorge Prado (ESP, KTM), 282 p.; 3. Thomas Kjer Olsen (DEN, HUS), 266 p.; 4. Ben Watson (GBR, YAM), 210 p.; 5. Jed Beaton (AUS, KAW), 174 p.; 6. Calvin Vlaanderen (RSA, HON), 156 p.; 7. Jago Geerts (BEL, YAM), 140 p.; 8. Henry Jacobi (GER, HUS), 128 p.; 9. Vsevolod Brylyakov (RUS, YAM), 127 p.; 10. 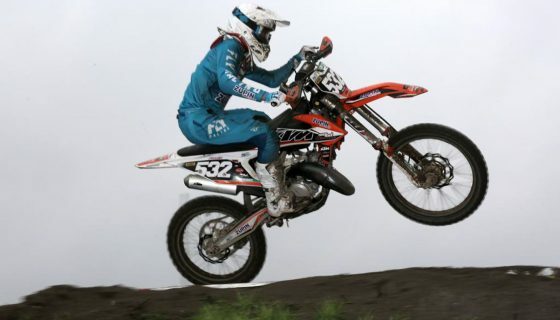 Conrad Mewse (GBR, KTM), 126 p.